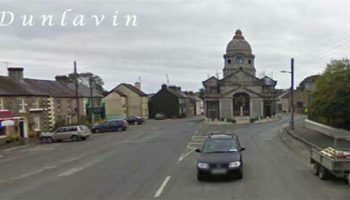 Dunlavin & District Forum would like to thank all those involved in helping out with the Christmas Lights this year. We are holding a Race Night in Burkes Pub on Saturday 8th March to raise funds to maintain these lights and hopefully add some new lights to the town next year. Time to get your horse back on track. Your continued support is very much appreciated. The Christmas card fundraiser for Friedreich’s Ataxia Research Alliance (FARA Ireland) has been successful again this year thanks tot he support it received from you all. This fundraiser has been very important to the charity since its inception. After allowing for the cost of printing & packaging a total of €5 from the sale of each pack goes directly to the charity. The cards have also made the general public more aware of the condition and as a result people have befriended “ataxians” in this area as well as raising much needed money for research. To date €2,000 has been raised through card sales and donation. It is expected that the final figure will be closer to €3,000 when all the money comes through at the end of the month. An Ataxia Charity shop has been opened in Bandon, Co Cork. The community there have embraced this fundraiser and they have raised €5,000 for Friedreich’s Ataxia Research during the Christmas period. The shop is open Wed,Thurs and Friday. So if you are on holidays or just visiting West Cork you might like to keep it in mind and call in to donate or buy something to the shop. The Kearney family Dunlavin is most grateful to all the distributors, shops who sold the cards and all you who bought the cards. Money from sales went directly from FARA Ireland to researchers; Dr Mark Pook, Brunnel University, London and Dr Javier DIaz- Nido Madrid who are doing work on investigating a new drug and gene therapy for Friedreich’s Ataxia in the last month. Sympathy is extended to Paul Darker and family on the death of Paul’s mother Joan last week. Joan who died following a long illness was predeceased by her daughter Sandra and is mourned by her husband Robin, sons David, Brian, Paul, Robert, Kenneth, daughters Karen and Siobhan and many relatives. Joan’s funeral took place in Blessington, may she rest in peace. Congratulations to Johnny McGrath, Ballylaffin, Dunlavin on winning Golfer of the Year for 2013 in Rathsallagh Golf Club. This local win follows in the footsteps of pervious Dunlavin winners, Vincent Cronin 2012 and Rob Sheridan in 2010. Hopefully we will have another local winner in 2014. The Clubhouse is open to members and to the public every Friday to Sunday and will reopen fulltime from 1st March. New members are welcome, and you can contact the Clubhouse for special introductory offers at 045 403291. 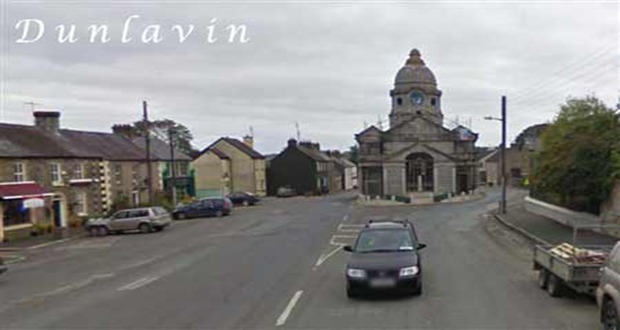 A meeting of Dunlavin Festival of Arts will take place in Meitheal on Saturday February 1st at 12 noon. Anyone with new ideas for festival 2014 is welcome to come along. This year’s festival will take place on June 20th, 21st and 22nd2014. There will be a party night on the 16th March in the Imaal Hall, where Sean Daynes will shave his beard off provided we get sponsorship for over €2,000. The operation transformation/fundraiser is going well and we have another group doing the “Run-a-muck” fundraiser on the 1st march. All proceeds will go towards the Church floor. It is also hoped to do some Line Dancing on March 16th and our own “Jedward” might even make an appearance on the same night. Music on the night will be by “Sister Act”. While the church is closed for these renovations Mass is being celebrated in St Nicholas’s Church Of Ireland Church at 8pm on Saturday evening and 10am on Sunday mornings. We are at 3 Limerick Lane, Newbridge, Co. Kildare and were established in 2003 have been providing counselling services in the Kildare area for over ten years. Over the years our qualified counsellors have provided support to a broad range of people, particularly those who cannot afford to pay for private counselling. We do not let a person’s financial position deter them from utilising our counselling service. All we ask is that you donate what you can, only if you can. Our counsellors offer support in numerous areas, including depression, suicidal thoughts, anxiety, bereavement, low self-esteem, addiction, suicide support group, acupuncture and many more. We serve all areas in Kildare. To book an appointment please call 087 1513535. Clothes Collection – Every Monday Night from 7.30p-9.00pm also Saturday mornings from 11.00amfor the month of January. The school choir are busy rehearsing for the Peace Proms concert which takes place in the City West Hotel on February 1st. We are building an insect hotel for our school garden. Thanks to Francis O’Reilly for all his work with this project. We are collecting straw, ivy, logs, bricks, twine and small corks. Collection boxes can be located inside the main door. The staff and children are settling in well in our new Solas. We will cut the ribbon and bless the building on Thursday January 30th following refreshments which will be served in the school hall at 6pm. An open invitation is extended to the school community and those wishing to attend should contact the school office on 045-401495. The friendship club has resumed on Fridays at 3pm in the Parish Centre. Lots of activities and outings. New members and helpers welcome. Bingo takes place in the Imaal Hall every Saturday night at 9pm.Jackpot waiting to be won now stands at €1200. The funds raised by the Bingo go towards the upkeep of the Imaal Hall and well worth supporting.